Apikhun Tunkor, Khaimook Changsri, Thitiilat Chiraunyanan, Warisara Sretapanya and Chareeporn Akekawatchai*. Association of CXCL10 G-201A/C-1596T polymorphisms with Hepatitis B and C infection in human immunodeficiency virus-infected Thais. J Med Tech Assoc Thailand 2018 Dec; 46 (3):6692-6706. Thitilat Chiraunyanan, Khaimook Changsri, Warisara Sretapanya, Kornanong Yuenyongchaiwat and Chareeporn Akekawatchai*. CXCL12 G801A polymorphism is associated with significant liver fibrosis in HIV–infected Thais: a cross-sectional study. Asian Pac J Allergy Immunol. 2018 Oct 15. doi: 10.12932/AP-160917-0162. Nalin Wongkattiya, Chareeporn Akekawatchai, Panchana Sanuansermsri, Ian Hamilton Fraser, Chayanin Pratoomsoot and Donruedee Sanguansermsri. Cheminal compositions and biological properties of essential oils from Zanthoxylum Rhetasa (Roxb.) DC and Zanthoxylum Limoella Alston. Afr J Tradit Complement Altern Med 2018 15 (2): 12-18. Warisara Sretapanya, Thitiilat Chiraunyanan, Duangnate Pipatsatitpong, Thippawan Chuenchitra and Chareeporn Akekawatchai*. Prevalence of hepatotoxicity and factors associated with transaminitis in HIV-infected Thais without hepatitis B and C coinfection. J Med Tech Assoc Thailand 2017 Dec; 45(3):6140-6156. Akekawatchai C*, Roytrakul S, Kittisenachai S, Isarankura-Na-Ayudhya S and Jitrapakdee S. Protein profiles associated with anoikis resistance of the metastatic MDA-MB-231 breast cancer cells. Asian Pac J Cancer Prev. 2016 March;17(2):581-90. Meizhi N, Klingler-Hoffmann M, Brazzatti J, Forbes B, Akekawatchai C, Hoffmann P, McColl SR. Comparative proteomic analysis implicates eEF2 as a novel target of PI3Kγ in the MDA-MB-231 metastatic breast cancer cell line. Proteome Sci. 2013 Jan 15; 11(1): 4: 5956-11-4. Holland JD, Kochetkova M, Akekawatchai C, Dottore M, Lopez A and McColl SR. Differential functional activation of chemokine receptor CXCR4 is mediated by G-proteins in breast cancer cells. Cancer Res. 2006 Apr 15; 66(8):4117-24. 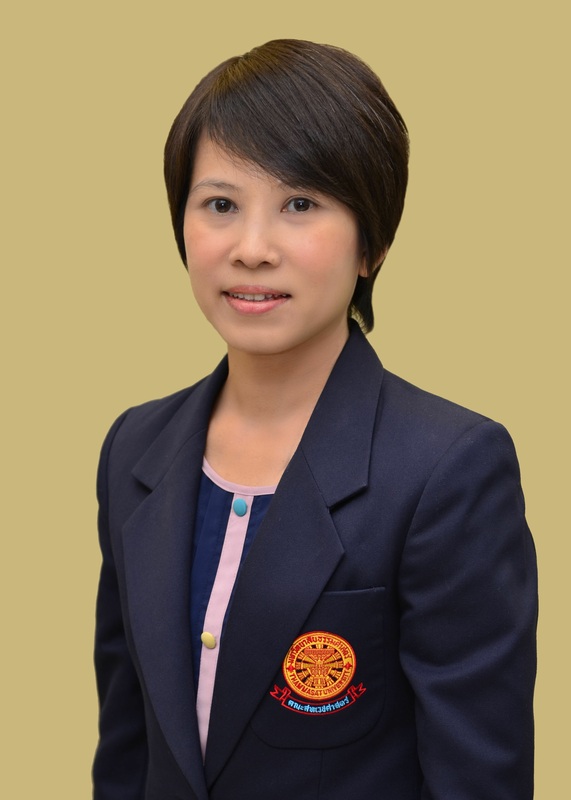 Akekawatchai C, Holland JD, Kochetkova M, Wallace JC and McColl SR. Transactivation of CXCR4 by the insulin-like growth factor-1 receptor (IGF-1R) in human MDA-MB-231 breast cancer epithelial cells. J Biol Chem. 2005 Dec 2; 280(48): 39701-8. Ubol S, Sukwattanapan C, Maneerat Y. Inducible nitric oxide synthase inhibition delays death of rabies virus–infected mice. J Med Microbiol. 2001; 50: 238-242. Ubol S, Sukwattanapan C, Utaisincharoen P. Rabies virus replication induced Bax-related, caspase dependent apoptosis in mouse neuroblastoma cell. Virus Research. 1998; 56: 207-215. Chareeporn Akekawatchai, Marina Kochetkova, Jane Holland and Shaun R. McColl. Chemokine receptor signal transduction in metastatic and nonmetastatic cancer cells. In: Chemokine Receptors and Cancer. A. Fulton (Ed) Human press, a part of Springer science, 2009.